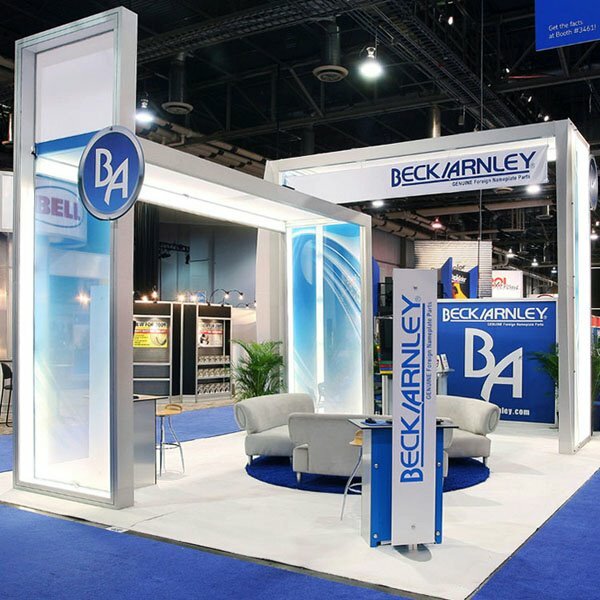 Whether it's a wall, lobby, reception area, counter top, or a tight little corner, we've got lots of creative display solutions for the space challenges of interiors. 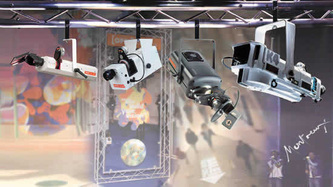 We can produce systems in small or large volume. And, we can design your interior display solution or build to your specifications. 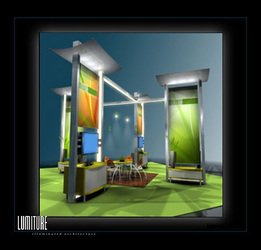 Kiosks - we can make them small or square, tall or short, with or without power, and to fit virtually any spot. 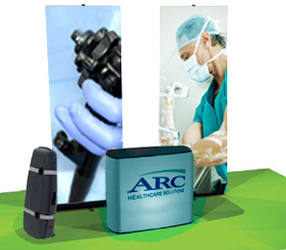 Display stands - these can make a real splash with a single, powerful graphic, or designed to distribute literature. Portable display solutions - using flexible, lightweight materials, some of our products can be set up in seconds. Tabletop displays - mini-displays that pack a punch, but fold up small. Way-finding interior signs - we can produce signs on a range of materials, from vinyl to fabric, and with high quality graphics. 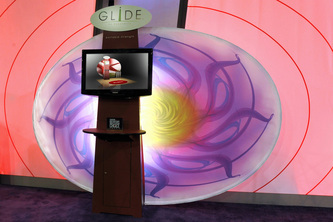 Custom displays - we can tailor make a solution for a lobby, reception area, counter top, or any other constrained space. Wall mounted images - we can design and output high quality graphics on a range of materials, or both small and large format applications. 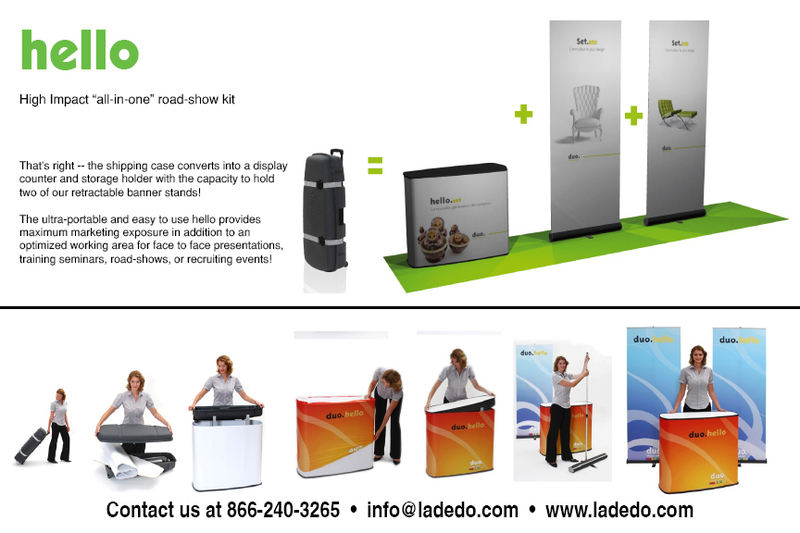 Our recommendations will depend on the type of environment, the message you want to convey, the degree of portability required, the type of usage the display will get, and other considerations. Let's talk about what type of interior solution will work best for you. 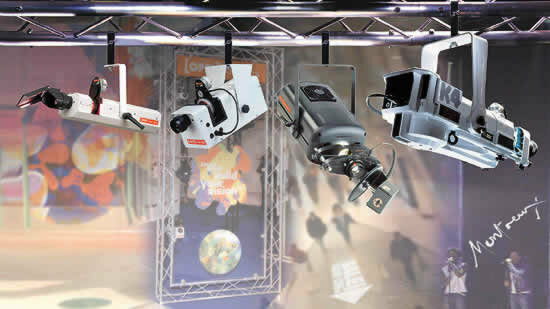 We can provide complete turnkey production and installation services using our team of experienced professionals. These services ensure the concept you approve gets installed exactly the way you expected.